New out of plastic and never mounted Jamie Lynn rat tail snowboard. I picked this up because I love Jamie Lynn's artwork (and his riding) but due to constant back issues since buying it, this board has not seen real or fake snow and is unlikely to do so. Sticker still on the sole and it's waxed ready to go. Sole: 10/10. Top sheet: 9/10. Overall condition is nearly as new. Lib Tech Skunk Ape C2BTX Wide Snowboard 2012:Lib Tech worked with oversized pow nuts from the NW to develop a tool for big guys to slay pow. Hi there you are looking at used and in good condition snowboard LIB TECH model SKUNK APE in 165cm long Wide. We have a used Lib Tech Dark Series snowboard, 161cm in very good condition. The top has the usual minor marks from the bindings and the edges are in good shape with just a few little nicks, probably from lift lines. Grab your self a bargain box fresh/ new board. Super sick all mountain board but best in powder and charging the hill. Sick graphics as well. Near mid-wide widths allow incredible toe drag free carving and improved float in the soft stuff. Robin Hood Watersports. For Sale - 2011 Lib Tech Skate Banana 159cm Snowboard. The board is regular width and is 159cm long. If you are looking for a freestyle board with plenty of flex and style then this is the board for you. Working together on a shape a couple of decades later was a treat for both. They chose a short wide powder ripper that changes the established concept of what a snowboard should be. Lib Tech Mayhem Short Fat 2018 Snowboard Jamies Lynn x Lost Mayhem Collaboration. The Revolutionary award winning Skate Banana redefined snowboarding! Fun,easy to ride, high performance. A must have in the quiver. •THE REVOLUTIONARY SNOWBOARD THAT CHANGED THE WORLD! Robin Hood Watersports. Its a unisex board and would be ideal for any one 5ft and under. 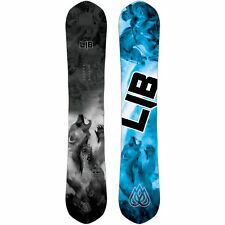 LIB TECH LOST MAYHEM ROCKET HP SNOWBOARD 2019. The Lib Tech Lost Mayhem Rocket, that shape! Benefitting from Magne-Traction for that ultimate edge hold and a fast sintered base. Lib Tech x Mayhem Surfboards collab design. Lib Technologies The Acme Snowboard freestyle 147+ Flow 3-6 bindings.not burton. The Lost Twin Rocket is a twin version of the original Lost Rocket board. After a high number of request he created this twin version with tons of float with a lifted freestyle tail for riding in both both directions. XC2 BTX camber profile. Deeper Understanding Hypothesis. A Tribute to the Greatest Snowboard in the World, with Speed Lever Technology. Ride a DUH and be on the cutting edge of the technology. Understand all that?. SIZE: 152cm. Mild tip pressure for unreal float and jibbing, solid pressure between your feet for easy turning and great ice edge hold. Original Banana is the best contour to learn and progress on. The Revolutionary award winning Skate Banana redefined snowboarding! Firepower construction takes the award winning and competition proven TRS designs to the next level of performance. ULTRALIGHT, SMOOTH RIDING FP CONSTRUCTION. Repping one of the industry's most eco-friendly constructions and handcrafted in the USA, you'll feel like a G as you recreate the bejeezus out of the mountain on the Lib TechWreckreate 90 Skis. The skis has revolutionary. Lib Tech Attack Banana EC2 Rocker Snowboard 2011: See the glowing white light, yes this is the chosen one! Banana Technology, that’s been tweaked for EC2 Attack Mode, gives the rider unreal floatation in powder and cosmic-pop anywhere else.